Free Wi-Fi now available in the practice. Research and download health information. Single Presciption Charges To Rise On 1st April 2019. 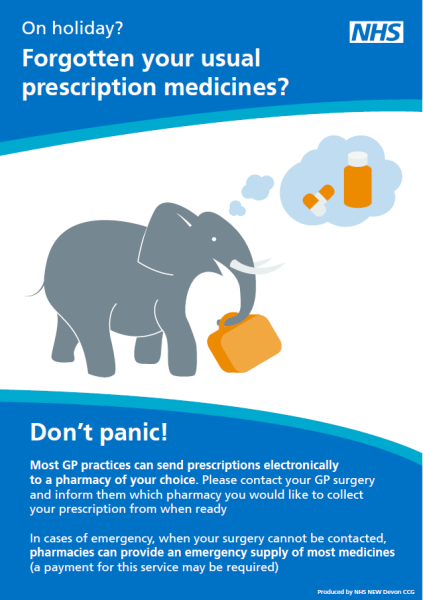 Patients are reminded that on 1st April 2019 there will be a 20p increase in the cost of a single prescription. The price is rising from £8.80 to £9.00. The cost of prescription prepayment certificates (PPC) are to remain the same at 12months for £104.00 (10 monthly payments of £10.40) or three months for £29.10. More details of the imminent changes can be found here. On 15th March 2019, the Practice will be undergoing a CQC inspection. We invite our patients to tell the CQC about the care they have received. This can be done either online at www.cqc.org.uk/yourexperience/Townsend House Medical Centre or by calling 03000 616161. Alternatively we do have comment cards available in the Practice. The practice thought it might be useful to provide a synopsis by the GP's, Receptionists and Nurses of how their working day looks. This has been produced on this basis of a typical day, however, there are days when deviation occurs such as, emergencies that come in at any time and these must take priority over routine work. As a practice, patient feedback is invaluable to us and we're really proud of what you have to say about us. 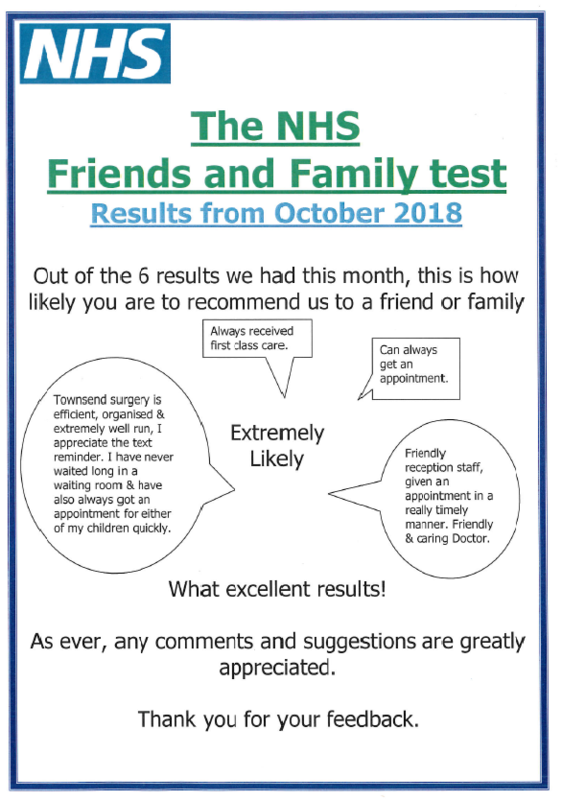 Below you will find the results of a Friends And Family Test from October 2018.